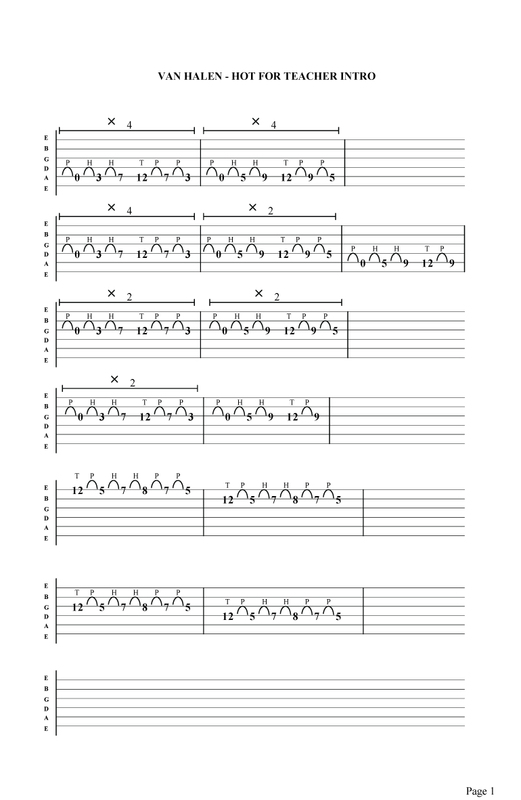 Van Halen - Hot for teacher intro part #1 guitar tab . Eddie's awesome finger tapping to the frantic drums laid down by his brother and brilliant vocals by Dave Lee Roth . Eddie was very secrective about his finger tapping techniques in the early days . By the late 80's other guitarists caught up with Eddies styles , but he was the innovator and visionary .